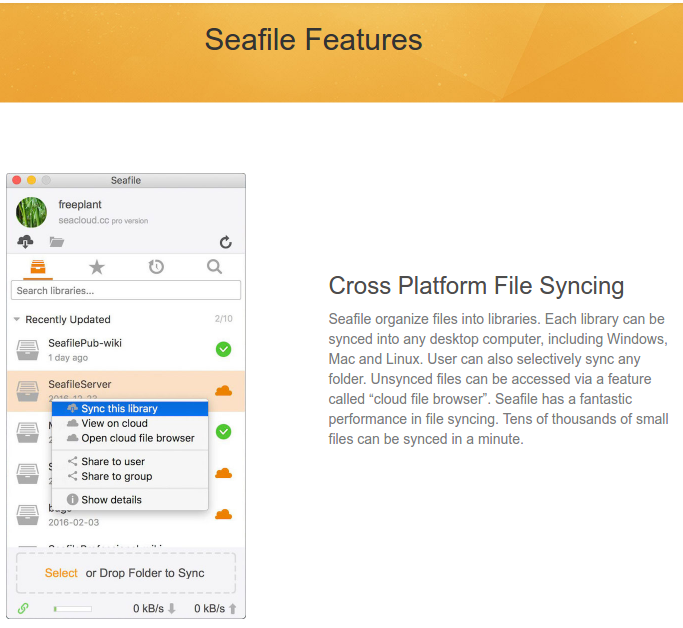 Seafile is an opensource file hosting and synchronization service similar to Dropbox, $harepoint, and Owncloud. I have used all of those services, and Seafile is my favourite for various reasons, which I may cover in later tutorial. One of great things about Seafile is that they have a business plan through offering a public cloud service, as well as private server options, so the project is less likely to "die out" any time soon. The application seems to have frequent updates, and can be a bit of a pain to install/configure, so if you have cash to splash, this may be a good solution for you. I have actually covered Seafile in the past, but I am creating another tutorial because I have only just noticed that version 4 of the server is out, and it requires some additional steps. Also, this tutorial will be showing you how to setup a Seafile server on Debian, rather than Ubuntu. Copy the following script into a file, and execute it with sudo privileges. sudo debconf-set-selections <<< "mysql-server mysql-server/root_password password $DB_ROOT_PASS"
sudo debconf-set-selections <<< "mysql-server mysql-server/root_password_again password $DB_ROOT_PASS"
CREATE DATABASE `seahub-db` character set = 'utf8';"
GRANT ALL PRIVILEGES ON `seahub-db`. * to `seafile`;"
echo "Your database root password is:"
echo "Seafile's database details are:"
We are going to configure Nginx with SSL for security. Please generate a pair from your provider, or follow my series of posts on generating free, certified SSL certificates. Run the two commands below. You may or may not want to change $HOSTNAME to your server's IP. Create a file at /etc/init.d/seafile-server with the following content, making sure to fill in user=""
Seafile is an excellent open source tool, but it seems that setting it up can be quite difficult (I didn't have this tutorial to help me). I found it much easier to setup and configure an owncloud server than Seafile this time, but I hope that will change by bringing in Docker integration. Perhaps I will do this for them if someone hasn't done it already.